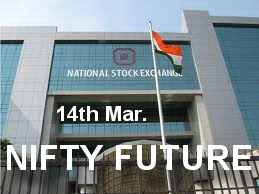 NF (5465) - Above 5475, face hurdle 5510-5520 but above that move up to 5570-5580. But If not move beyond 5475, Downside level remain same 5420 & 5366_5342. EDUCOMP (416) - As posted on 01st Mar. exactly it hurdled at 480, from there it is moving down and mentioned down target 400. now the target is nearing. it is going to take support at 400-394 from there expect pullback. KIRIDYES (304) - Trade and stays below 300, Ultimate target in down side 220 In between support exists at 271 & 246. 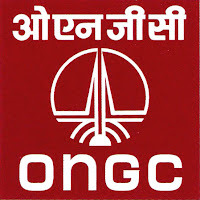 ONGC (282) - Already posted here on 22nd feb. itself, timebeing bottom out 265 and target 298-307 it is moving up towards the target. now above 286-288 going to attack above mentioned target. TATASTEEL (581) - Now last hope and support 574-564. but trade and close below that, come down to 526, 489 and afterwards ultimate 434.